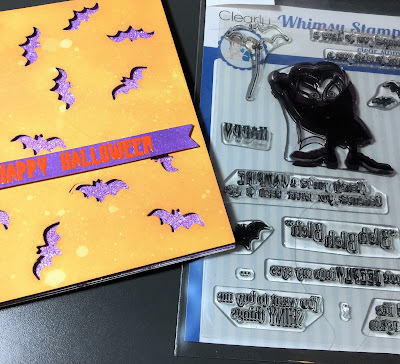 I started a card using this awesome Halloween stamp set from Whimsy Stamps last Friday. I started a video and then Hurricane Harvey hit us here in Houston. We were very blessed and did not have water in our home. I worked on the card a little at a time throughout the past few days to keep my sanity. There is so much loss around us. Please keep Texas in your thoughts and prayers. Instead of a video I have included step by step instructions showing how I created the card along with links to each product. 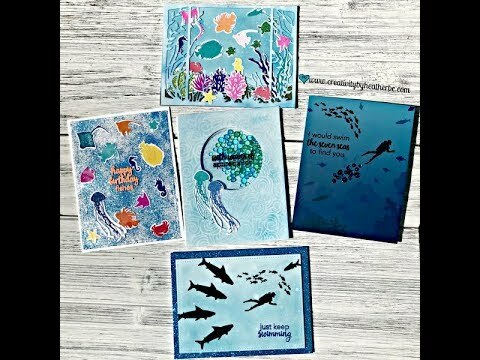 Click here to shop the many amazing new stamps at Whimsy.com. I love this set titled Dracula I Compel You. I decided to make a die cut background using purple Nuvo glitter and distress oxide inks to complete this card. For the background I used the coordinating die set. With my Big Shot I cut the bat several times randomly throughout a piece of Neenah solar white card stock cut to A2 size. I used Spiced Marmalade Distress Oxide to cover the panel with the bat cut outs. 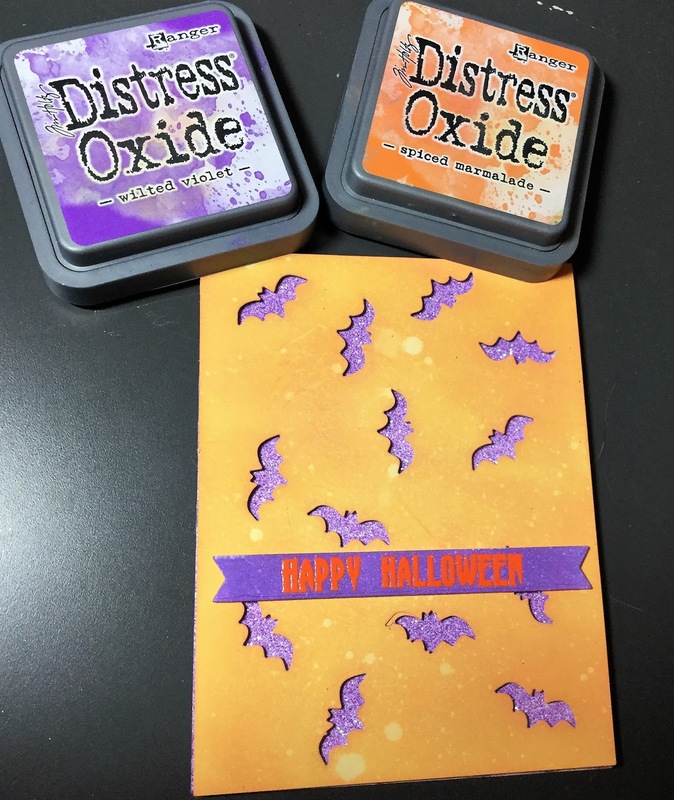 The distress oxide blends so smoothly. I also sprayed it with water from a Distress Spray Bottle to give the panel texture. 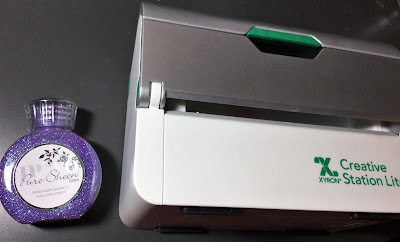 I ran another piece of Neenah through my Xyron Creativity StationLite creating a full sheet sticker. If you don't have the creativity station any double sided tape placed close together will work as well. 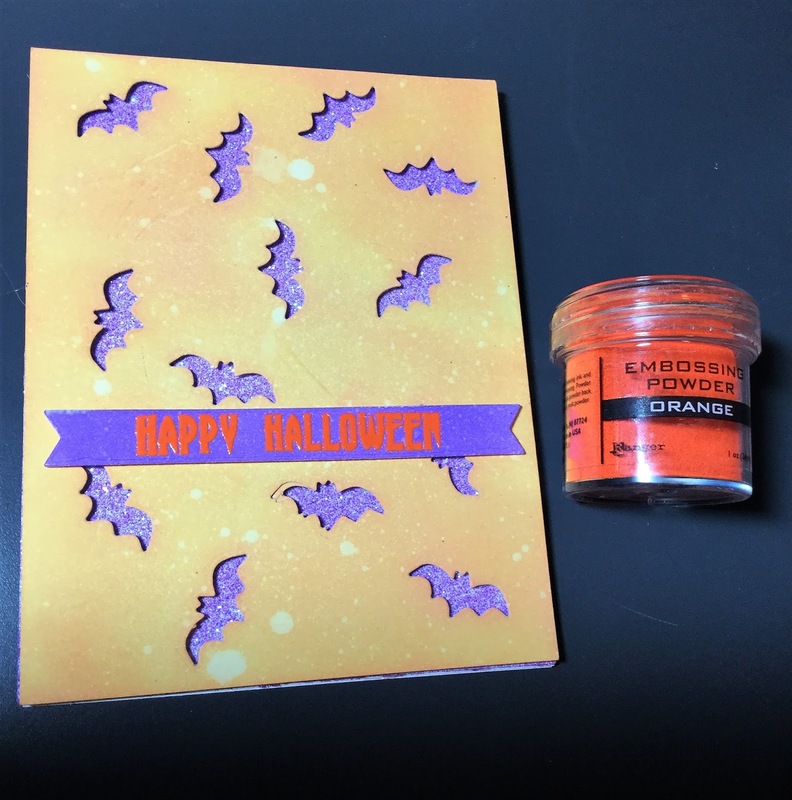 Creating a sticky side to the cardstock allows you to easily add glitter. Using 3M Foam Tape I adhered the panel to a Neenah card base. The sentiment was added by using Wilted Violet Distress Oxide Ink to ink up a strip of cardstock cut into a fishtail and Orange Ranger Embossing Powder for the Happy Halloween sentiment included in the stamp set. The sentiment was adhered with a strip of foam tape. 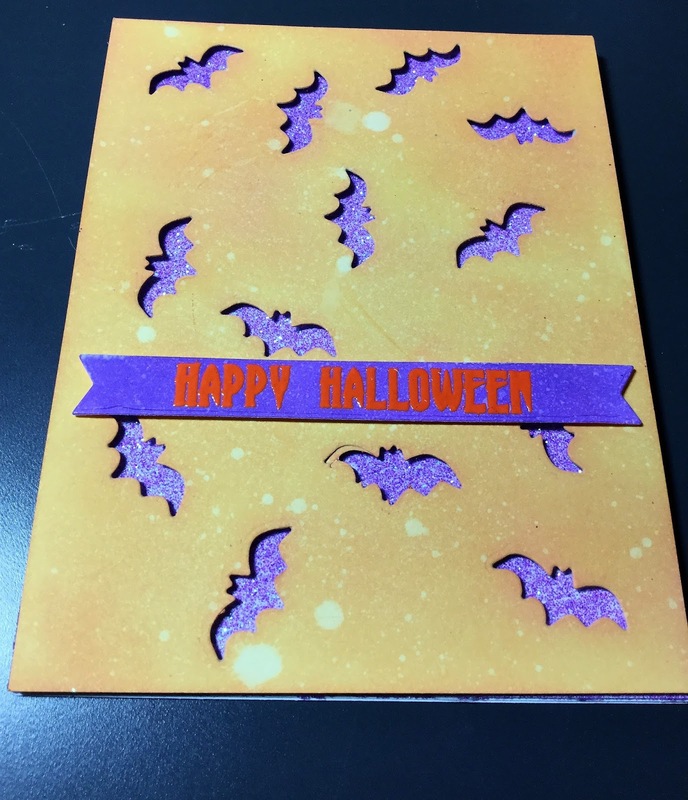 The completed card will make a great Halloween card for anyone who loves Halloween. I am so excited to create more cards with this fun stamp set. Hug your families a little tighter today!